Monday greetings to you, it's Kathi here today to host the blog. 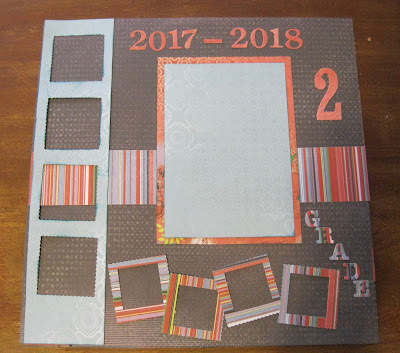 I have created three layouts for three of my six grandchildren's first day of school. 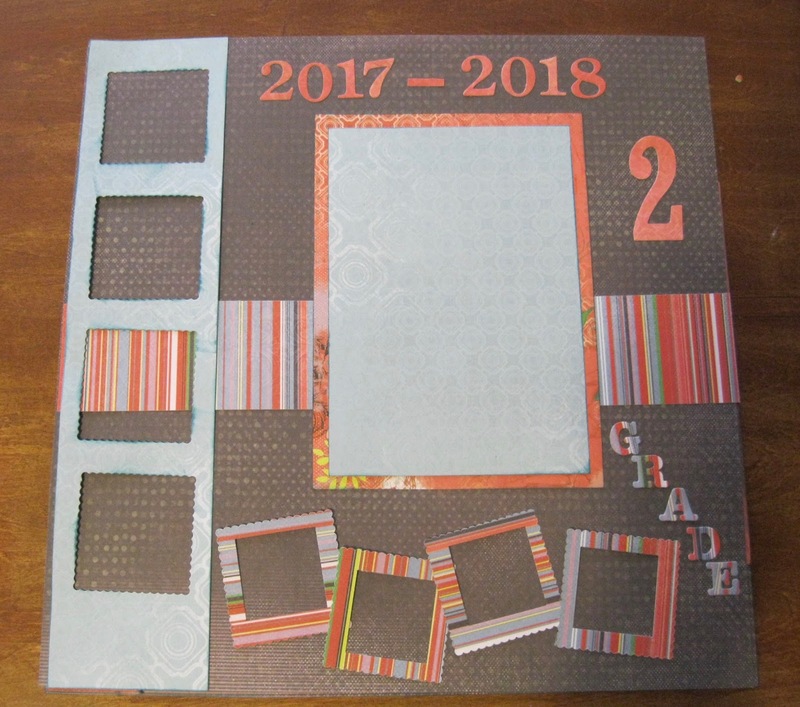 These layouts do not have photos yet as school starts September 5. I have one going into 2nd grade, 6th grade and 8th grade. Chris is going into the 2nd grade. 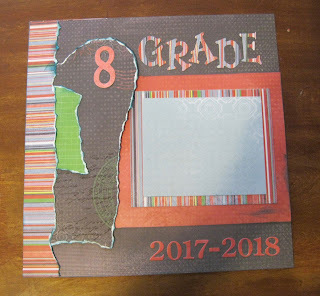 On this layout I can have up to 9 photos. Some of the boxes I can also place journaling as well. 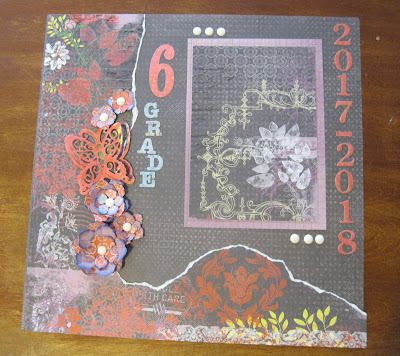 I used the new Serenade collection for these layouts. The base page for all three is Serenade 100. Hannah is going into the sixth grade. I will add one large photo from her first day. I used 2017 Royal Blue PowderPuff Ink on the flowers on Hannah's layout. 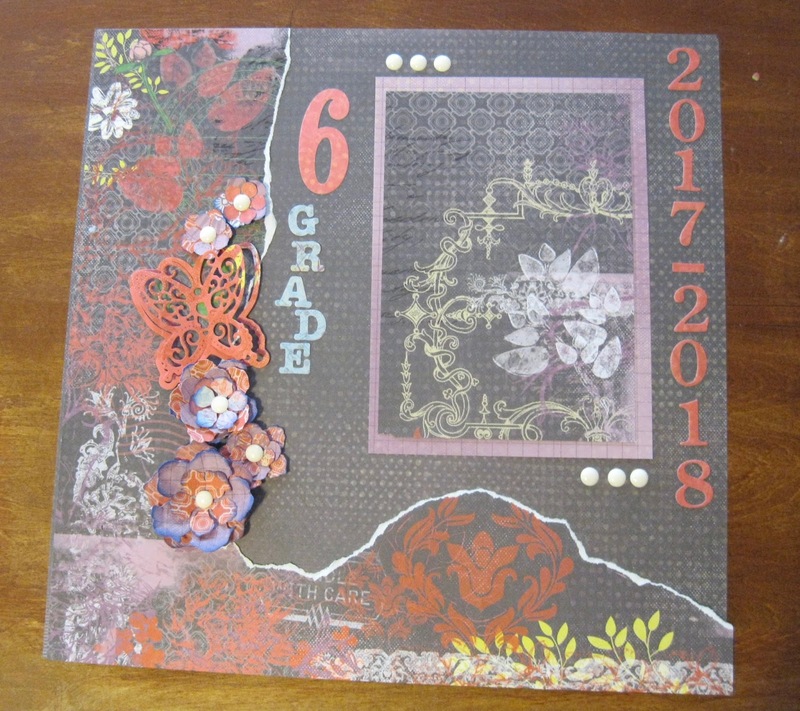 I used Terra Cotta PowderPuff Chalking Ink on the Butterfly. I placed 3 enamel dots above and below the photo mats. Ben is going into the eighth grade. 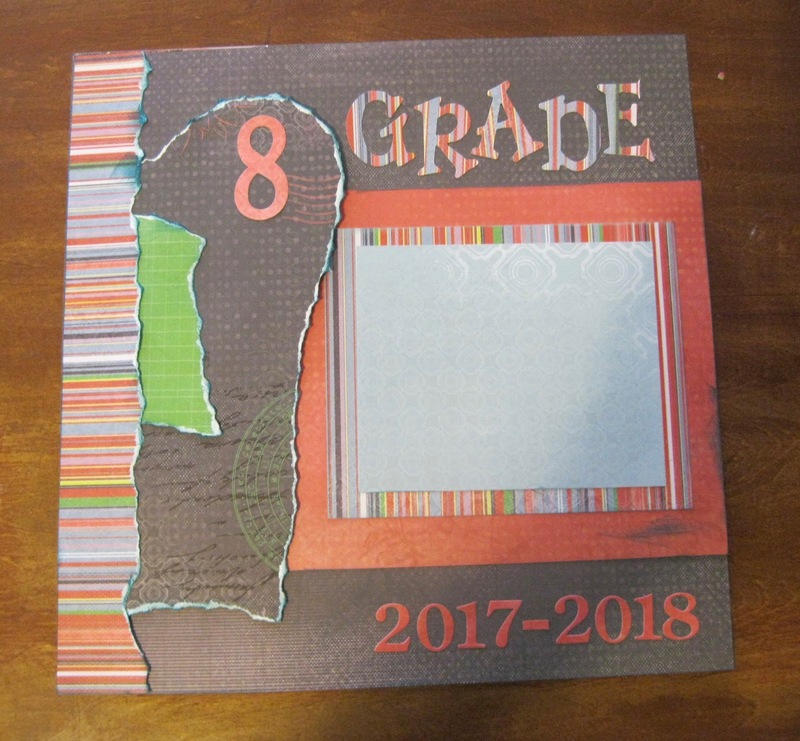 I will add one larger photo and continue to add layouts into their albums throughout the school year.